SCOTTSDALE, Ariz., Nov. 14, 2017 /PRNewswire/ -- It's the merriest sale of the season, Black Friday through Cyber Monday at the Fairmont Scottsdale Princess. As one of the best and brightest places to celebrate the holiday season, this iconic, AAA Five Diamond resort transforms into a winter wonderland in the desert during its Christmas at the Princess festival, through December 31, 2017, glistening with a four-story musical tree, Desert Ice rink, Princess Express trains, Lagoon Lights, holiday characters, new shows and attractions, including Santa's Secret Headquarters. To celebrate, the Black Friday/Cyber Monday "Christmas Cheer" rooms package, booked November 24-27, 2017 for a December stay, starts from $150 per room, per night and includes one-hour early access to the festival, VIP express access to the attractions and two complimentary beverages at Kringle's Cup. Experience the wonder and magic of Christmas at the Princess, a six-week festival at the Fairmont Scottsdale Princess in Arizona. For more details, please visit www.scottsdaleprincess.com. Christmas at the Princess spreads across the resort's 65 lush and illuminated acres. 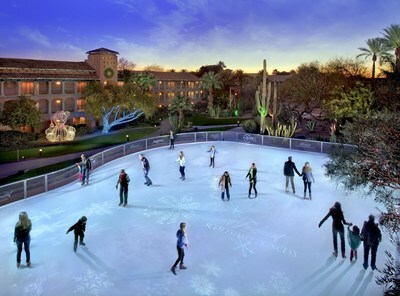 At the Desert Ice rink, made with real ice, skaters experience magical snowfalls, while luxury rink-side fire pit tables are the coziest place to enjoy the merriment under a starry Scottsdale sky. S'mores Land brings more family fun with the Polar Glide ice slide, Frosty's Ferris Wheel, the new Build-A-Bear Workshop Pop-Up Shop and spots to roast s'mores around the campfire. Around Lagoon Lights, 4.5 million LEDs illuminate majestic scenes of graceful swans, a pirate ship, mermaid, singing snowman family, candy cane forest and an infinity tunnel capable of 256 million color combinations. 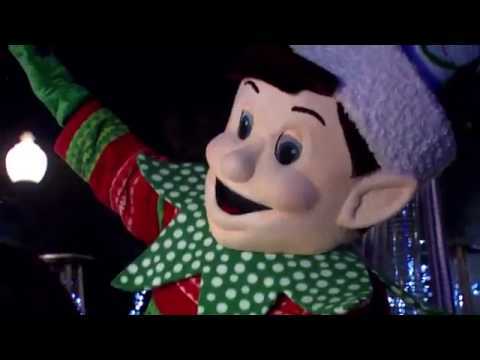 Not-to-miss is the Copper Canyon Christmas Village musical light show. In Enchanted Plaza, a 40-foot musical tree plays 18 songs synchronized to 80,000 dancing lights, while Saint Nick is busy in his workshop - Santa's Secret Headquarters - mapping his flight plans, time zones and toys, where families can write their wish lists and have a photo taken. Checking-in are the resort's holiday friends: the lovely Princess Noel, a huggable yeti named Shivers, Graham, a walking s'more, plus Peppermint Penguin and Selfie Elfie, each bringing their own special charm from the North Pole. The Christmas at the Princess festival is open to the public with paid admission and overnight hotel guests enjoy added exclusives such as early entry to the festival and express access to the attractions. The Christmas Cheer package is based upon availability for stays through December 31, 2017 and taxes and resort fees are additional. For complete details, visit www.scottsdaleprincess.com or call (866) 540-4495.